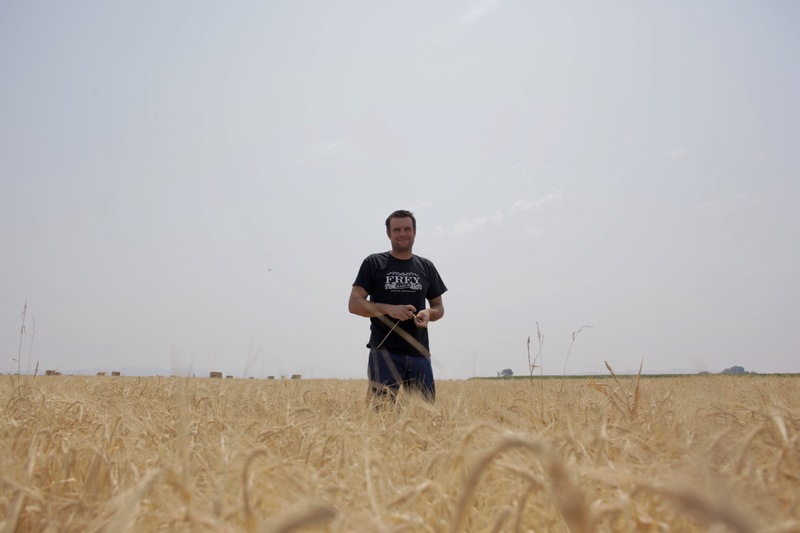 Distillery owner Colby Frey in his rye field. Frey Ranch grows several grains on the estate. 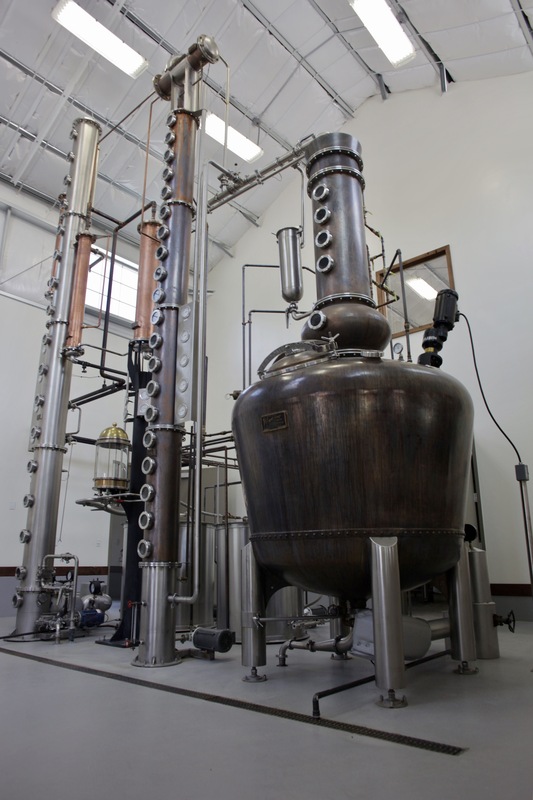 About an hour east of Reno, a most exciting craft distillery lies in the sleepy farming town of Fallon, NV: Frey Ranch Distillery. Run by husband and wife team Colby & Ashley Frey, the distillery is smack dab in the middle of their large farm estate. The Freys have called Nevada home since before it became a state. In fact, Colby’s great-great-grandfather filed one of the first land claims in the area. Farming is the family trade. It’s in their blood. Multi-generational business history is one of the big pushes for some Kentucky distillers, and it is the same for the Freys when it comes to farming. The Freys do everything on their estate, from growing grains to bottling. Back in 2001, Colby and his father, Charles Frey, Jr., started growing vines and making wine. He enrolled in several fermentation and wine-making classes, and took the time to practice and experiment. “What’s neat about being a farmer is you have to know a little bit about a lot of things,” Colby said. A jack of all trades, so to speak. 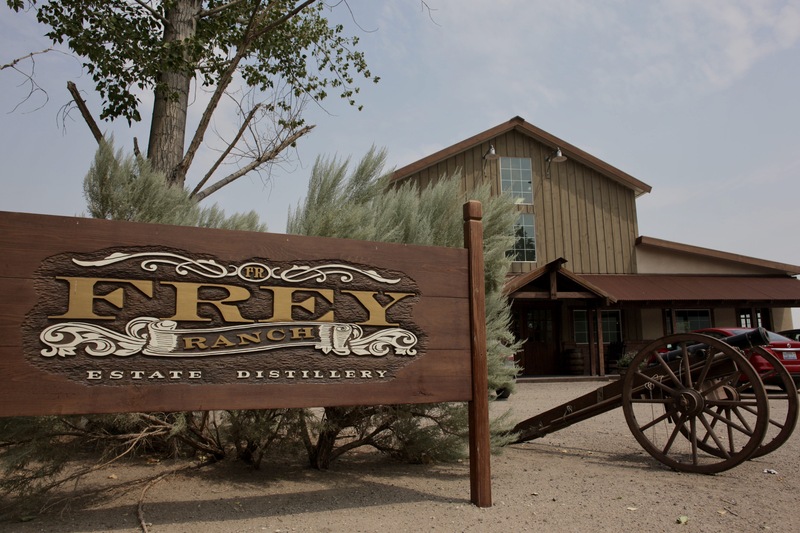 Frey Ranch Distillery is about a hour’s drive from Reno. Distilling soon followed. Grappa and brandy were the first spirits distilled at the estate, which makes sense given their wine-making proclivities. The 50-gallon still used at the time was handmade by Colby, but that would change when they decided to expand their distilling capabilities. Now, they are rocking custom-made Vendome stills. Located in Louisville, Vendome Copper & Brassworks is the go-to still maker for a lot of American distillers. With the new equipment in place, the Freys have the capacity to produce 10,000 cases of distilled spirit a month. Years later, the first whiskey the Freys distilled and put to rest was bourbon. That bourbon comes from a four grain mash bill – corn, rye, wheat and barley. At the moment it’s about two and a half years old, but the Freys made one thing clear: they will not sell a whiskey younger than four years old. “Right now it shows extreme potential. When we try it at four years, if we think it needs more time, we’ll let it age,” Frey explained as we tasted their bourbon. I have to say, it’s pretty enjoyable at the moment. Being such a young age, the bourbon is grain forward, but not sharp. Instead, like the majority of the other whiskies I sampled at the distillery that day, I found it rich and flavorful with lots of vanilla and light caramel. Colby and Ashley Frey say their bourbon shows “extreme potential.” I’d have to agree. Only grains grown on Frey Ranch Estate are used in production of their spirits. Grain-wise, the Freys are growing corn, wheat, rye, barley, and oat on their farm. That, and the fact that Colby likes to tinker and experiment, allows for the production of other whiskies. In addition to bourbon, the Freys have distilled a rye whiskey, wheat whiskey, oat whiskey, malted corn whiskey, and malt whiskey. That last one has a light peating level. What’s interesting is the peat is made on the estate from decomposed corn stocks. 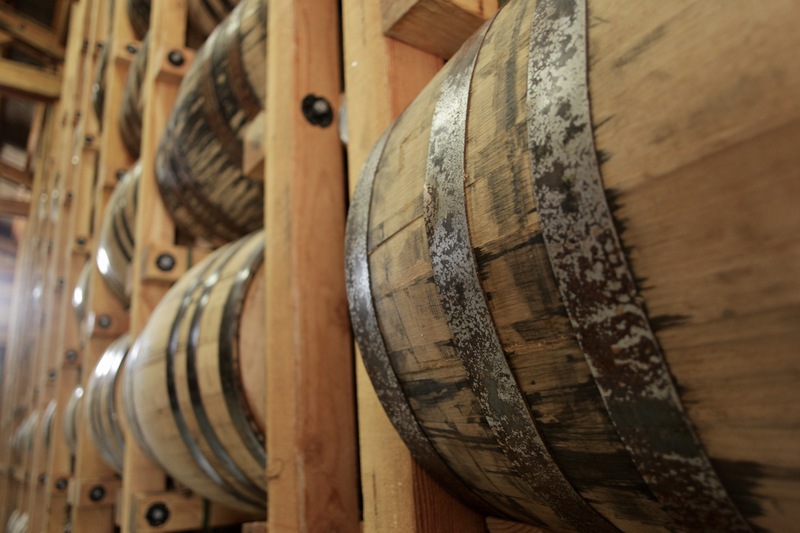 In addition to their more traditional bourbon, a unique bourbon is also aging in the warehouse. 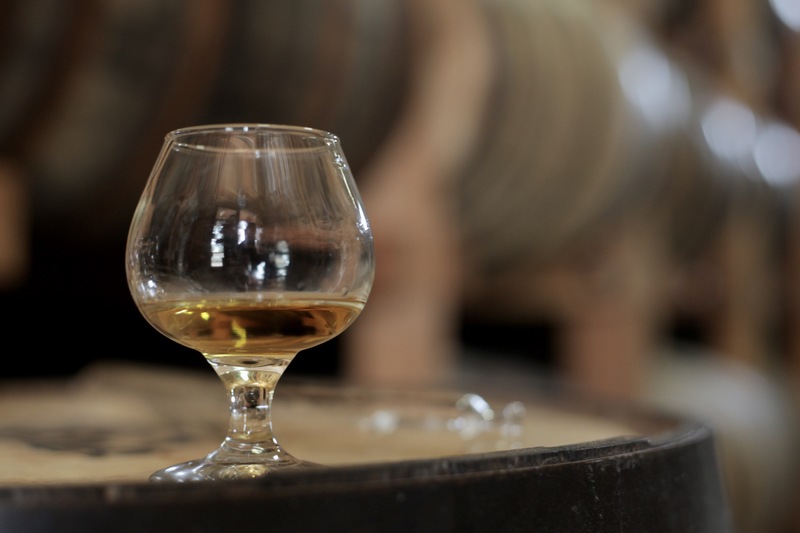 For this particular whiskey, the four grains used in their standard bourbon – corn, rye, wheat, and barley – are all malted on-site and used in the mash bill. A malted bourbon? I wasn’t sure what to call this whiskey, but it’s just bourbon (thanks for the insight, Chuck). Compared to their more traditional bourbon, this whiskey is still fairly young and has a long maturation ahead of it. The whiskey itself was rather interesting. I mean that in a good way. It had an earthy quality their standard bourbon didn’t have. Having sampled their range of whiskies, I found that none had that “green” taste. You know, that young, brutish, sharp character found in a lot of craft distillery whiskies. Even though most were still very young, the whiskies had backbone. That can be attributed to the attention and care in not only in the fermentation and distillation of the spirits, but also to the generations of know-how the Freys have instilled in their farming techniques. Everything comes from and is done at the estate. Everything. 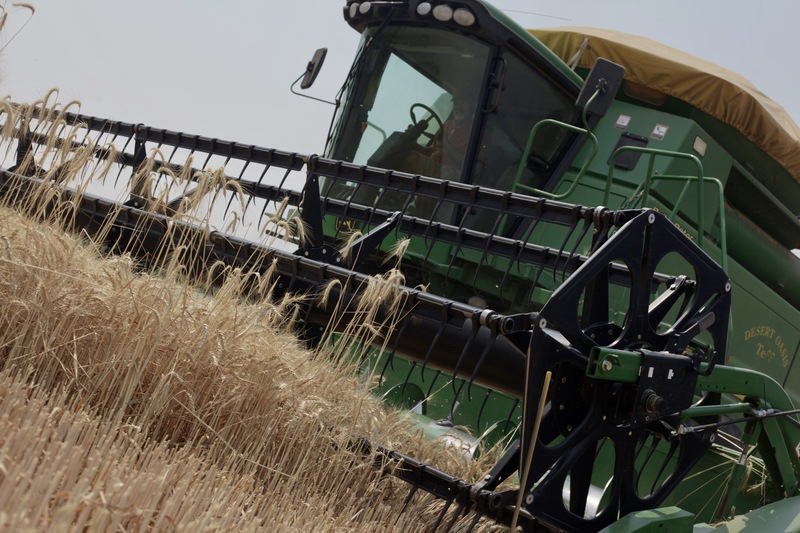 Growing grains, malting, fermenting, distilling, maturing, and bottling – everything. I’ve never seen anything like it, and I can’t help but appreciate the conviction with which the Frey family are approaching the distillation of spirits. The distillery trip was entirely paid for by Frey Ranch Distillery. Thanks to the Freys and Argentum for the wonderfully educational weekend in Reno. As always, all thoughts and opinions are my own.